How do you review a book that is basically filled with Jesus' spoken words? Yeah, that's feeling like quite an undertaking here. 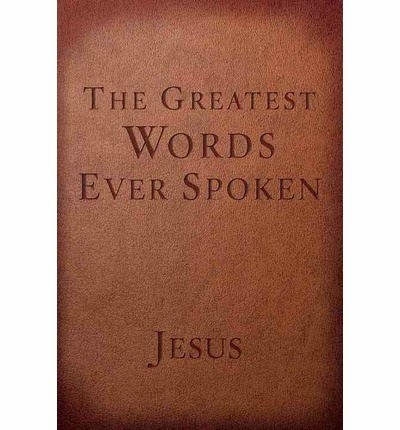 Let me start off by saying this...I have found this book a tremendous asset and accompaniment to my daily devotions. In fact, I carry it right along with my Bible. This is an amazing tool to have in your library. I absolutely LOVE that I can look up verses based on God's character, desires, fears, love, mercy, prayers, suffering and so so so much more. You can look up a subject and within seconds hear what Jesus said about it. I also loved that you can also look up verses by Chapter as well. This is a must have on your book shelf. This is a must have if you blog. This is a must have to take to your Bible study. It speaks on God's greatest words ever spoken.